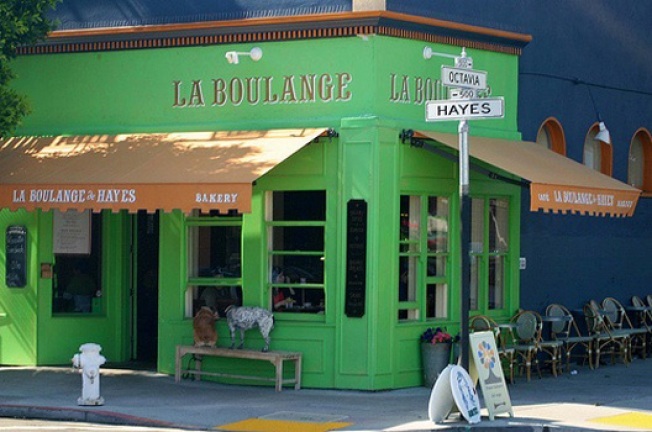 La Boulange is one of Hayes Valley's many new restaurants. Before October 17, 1989, Hayes Valley was an unremarkable neighborhood. It was drab and quiet -- nothing hip about it. The only excitement came from a maze of concrete, where the Central Freeway lumbered through the neighborhood, dumping drivers onto Fell Street. "Octavia Boulevard was another double-decker freeway that also never should have been built," said urban expert Jim Chappell. "[It went] right through the middle of a neighborhood." The big quake damaged the freeway, inspiring groups to call for its removal. But residents who lived in the city's western neighborhoods who used the freeway to get to their homes, fought bitterly to save it. "There was a lot of controversy, people wanted to get back to normal as quick as possible," said former San Francisco Mayor Art Agnos. "Demolishing freeways and building new things in the place of the broken ones, takes more time." In the case of the Central Freeway, time stretched on and on. "There was a real fight whether we would redo Octavia Boulevard," said Chappell. "It went to the ballot three times. First it was tear it down, then it was rebuild it, then it was tear it down." The fight continued until 1999, when activists finally got voters to approve plans for a scenic boulevard. The plan allowed the Central Freeway to touch down at Market Street. Today, a landscaped Octavia Boulevard runs through the neighborhood, ending at a park where a children's area sits next to a plot of land devoted to rotating public art. "Hayes Street, which is now filled with wonderful stores and boutiques and restaurants, was pretty much abandoned," remembers Chappell. The street now is home to art galleries, swank clothing and furniture shops, a Chicago-style pizzeria and a Timbuk2 messenger-bag store. But evidence of the inglorious past is not impossible to find. A block away, a short hike up Oak Street reveals a massive chunk of concrete caged in chain link fence and covered with brush. It is the former onramp to the Central Freeway -- a vestige of another era, dug in like the old ideas of urban planning. But soon even this ghost of freeway past may take its place in the new era of progress. The City is considering a plan to turn the monolithic slab into a neighborhood garden.